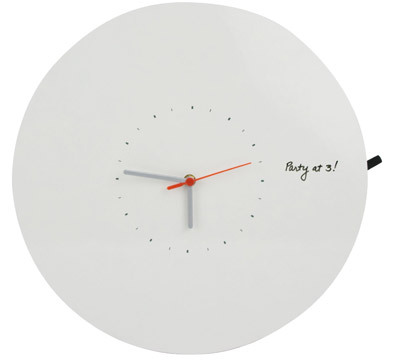 Above, is a neat wall clock on a whiteboard disk for convenient erasable reminders. Once available at the Moma store; not sure now. Seen here. 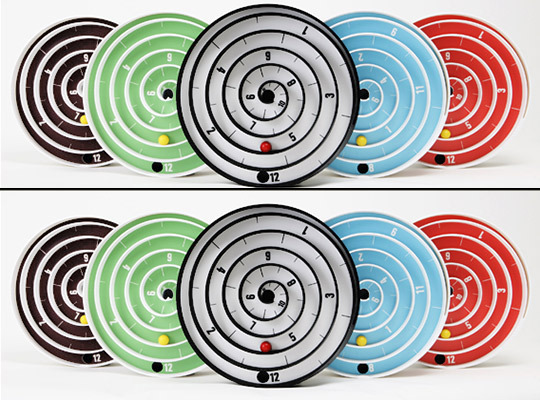 Lucky for us, TIME is an inspiration to designers of all kinds. Just look. The above Progress Bar clock (concept) comes with appointment reminder tags that trigger an audible alarm until the tag is turned 90 degrees. From Gizmodo. 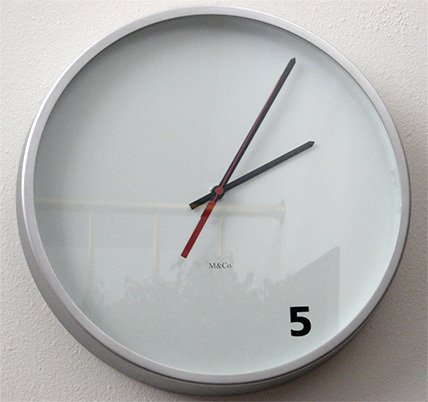 Here’s a clock for the mathematically informed. 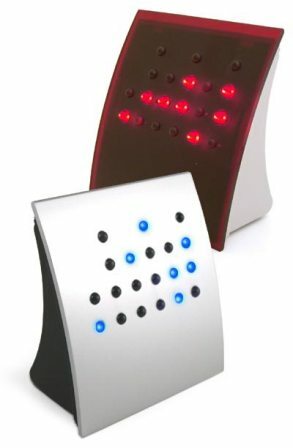 It tells the time in binary, using the coding of 32/16/8/4/2/1. It looks swell, and must have inspired a few number-challenged people to learn the code. Seen here. This above is very neat. Go to the website and see it in action. Be prepared to smile. Above is the Polar Clock at Pixel Breaker. Check it out in action here. Give it a chance to load and enjoy. (NB: I had to reload the page to kick start it). Both of the above found here. 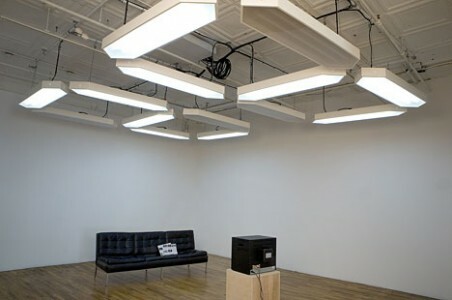 And if you hold meetings with people who are pressed for time, how about putting the time on the ceiling using the fluorescent lights. Seen at PSFK. But not all modern clocks involve modern technology. 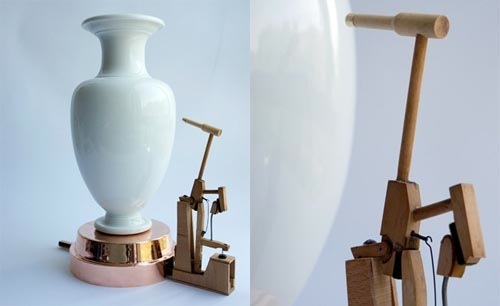 This clock consists of a vase (yours) filled with water (yours) and a mechanical device that knocks against it on the hour. Seen here. 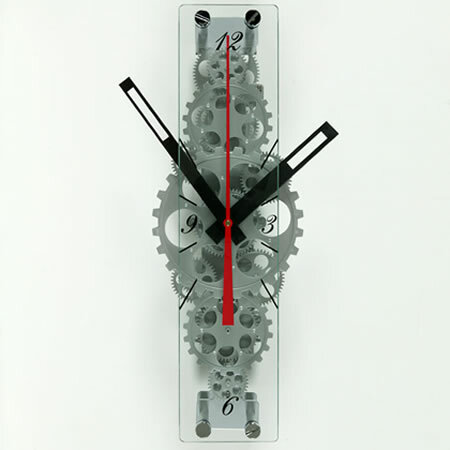 Above oblong gear clock has a lot of face appeal, I think. From geekalerts. 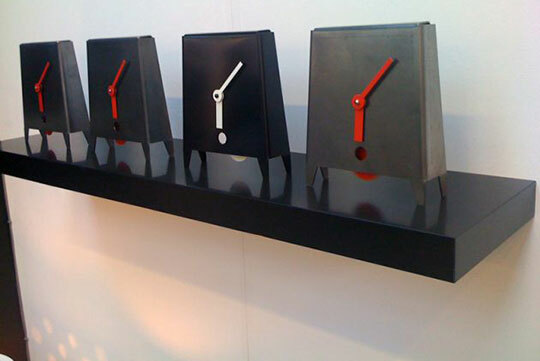 A contemporary wall clock that uses old technology. It seems like the kind of clock you might use to count down to a banishment or a beheading. From here. These are new, by a designer named Michael Siney. But they have a nice, solid, old time weightiness about them. From Curated , here. OK, time to wake up. 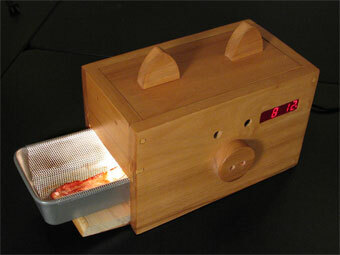 This clock/oven lets you wake up to bacon. You put the smoked strip into the tray before you go to bed, set the alarm, the little oven starts 10 minutes before the alarm. And you wake up to bacon. Or popcorn. Seen here. 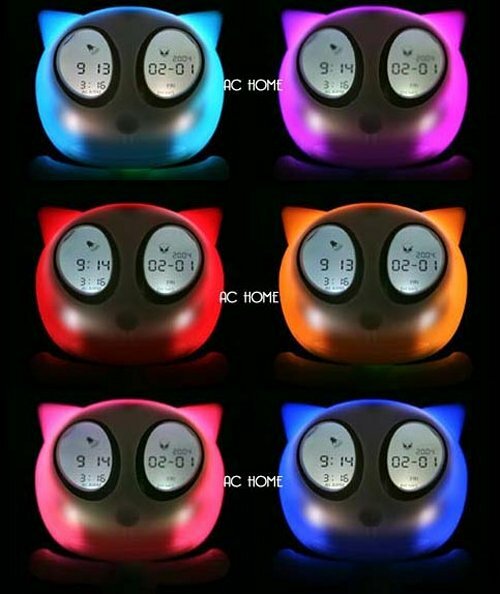 Unless you prefer to wake up to a glowing cat face. Seen here. And once you are up and on your way, this tiny button watch is just the thing to keep you on time. More here. 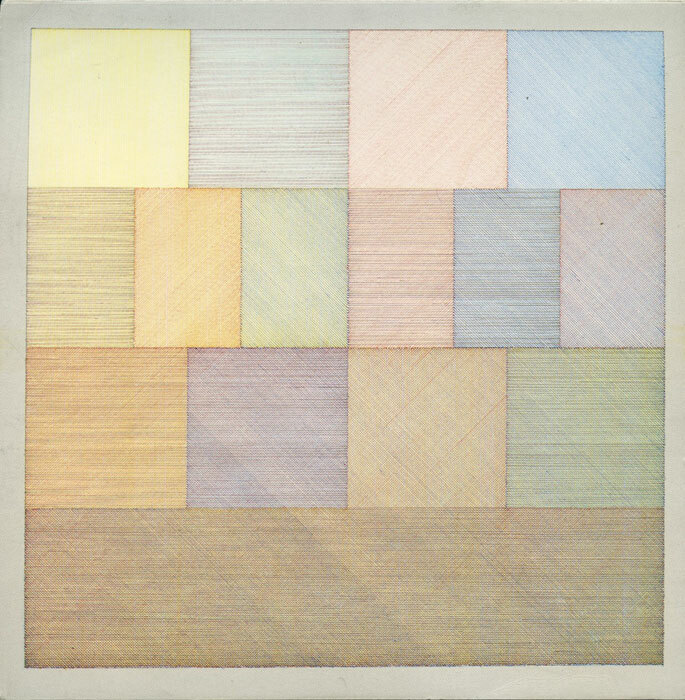 The final word (or number) on Time I give to Tibor Kalman. 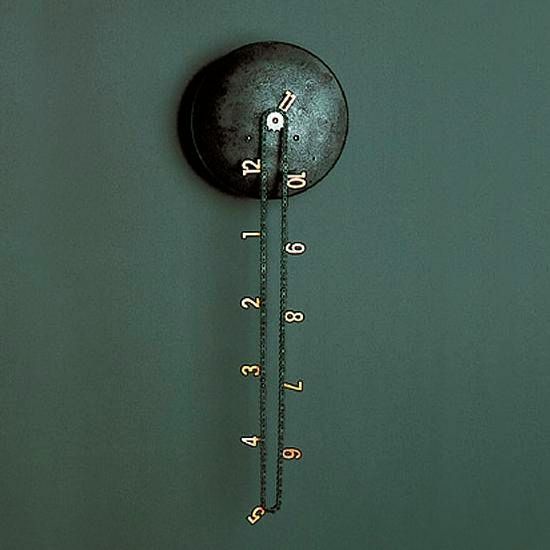 He designed this wall clock for his company M & Co. Still available at MOMA. Which hour of the day means the most to you? 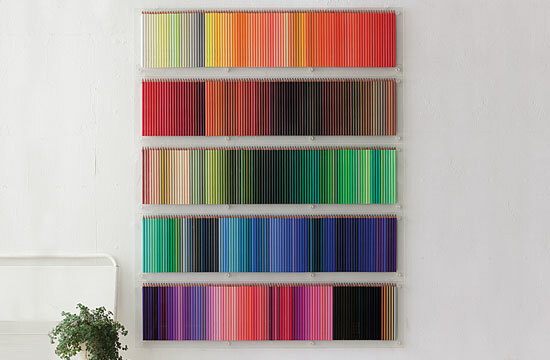 Pencils are inexpensive and expressive tools for marks on paper–or nice white walls, so I’ve found. Above image from Wikipedia. Lots of people love them. 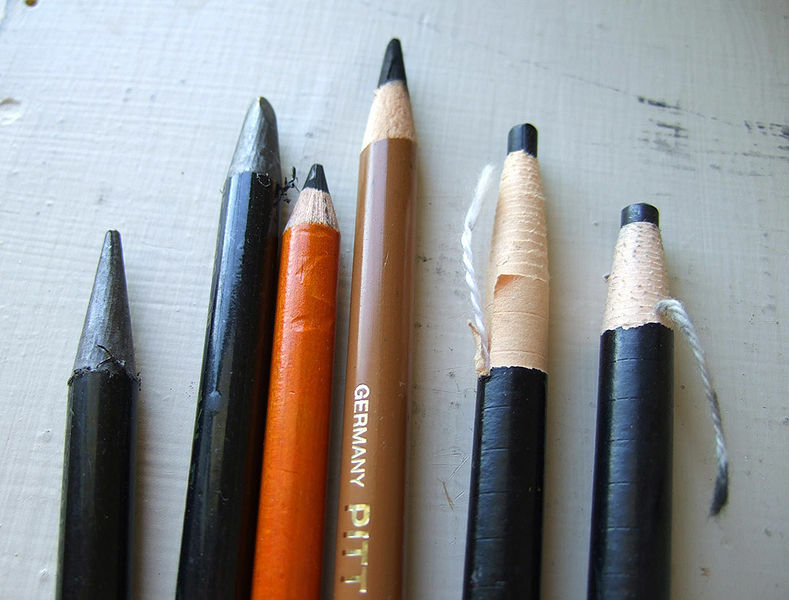 The above are from Pencil Talk, one of many blogsites devoted to pencils and pens. And while these humble, wireless tools might seem to be disappearing from the workplace and the home, they are still there, somewhere. Because nothing else can do what a pencil can do, especially in the hand of someone who loves it and knows what to do with it. 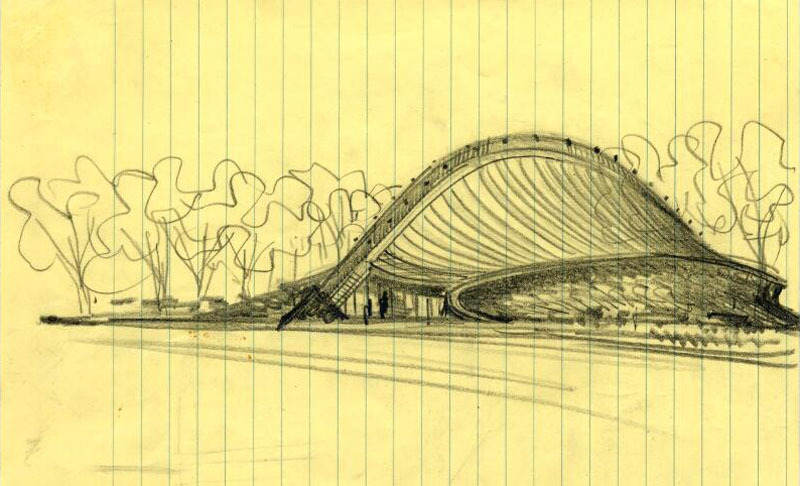 Eero Saarinen sketch for an ice arena at Yale University. The drawing is appearing in Sweden until June 6, 2010--reproduced on a wall, drawn by others according to his instructions. 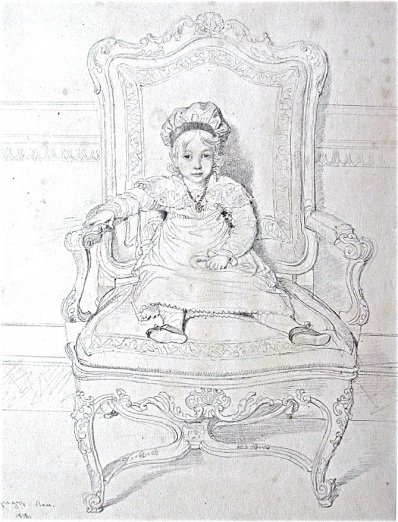 Jean Auguste Dominique Ingres, child in a chair, from here. 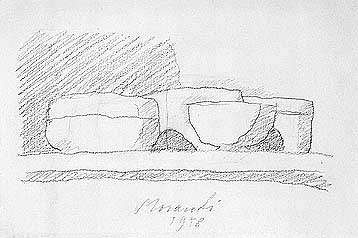 Giorgio Morandi, Still Life, 1958, pencil on paper from here. 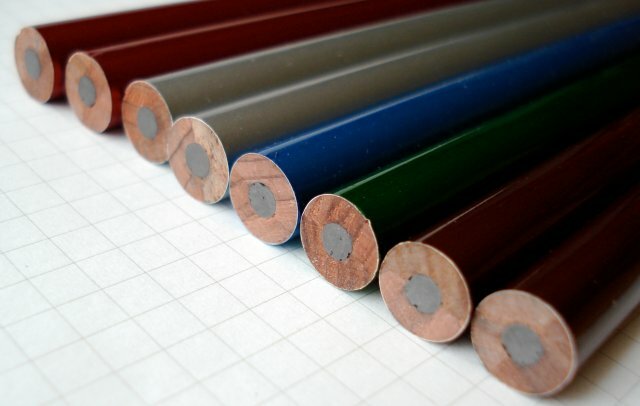 500 coloured pencils, from Japan, can be shipped from here.